We are very proud of our talented and highly experienced team of insurance professionals. Not only are they committed to keeping up to date with the latest changes in insurance, they also believe passionately in delivering a first class experience to our clients. Andy is a Commercial Insurance specialist and has over 30 years’ experience in the Lloyd’s and London Insurance Market. Career highlights for him include heading up of the Commercial Division and progressing to the main board of the Lloyds Broker he worked for previously before founding Fidentia Insurance in August 2013. Andy leads the Fidentia management team and is instrumental in creating a company culture of professionalism, teamwork and exemplary client focus. He gives Fidentia’s clients expert guidance on risks and insurance programmes for large or complex corporate risks. Andy finds understanding, and then solving, their problems to be the most satisfying part of his job. In his spare time, he enjoys current affairs and most sports. We are also very proud of his support of numerous charitable causes through the marathons and other fund raising activities. Sandra is also a Commercial Insurance specialist. In her role as Board Director at Fidentia she also leads our Claims Division. With over 28 years’ experience in the industry, her career highlights include managing the Claims Division at a previous Lloyds broker, where she progressed to the company’s Main Board of Directors, before setting up Fidentia with Andy Sparrow. As one of Fidentia’s senior management team, Sandra focuses on ensuring the company handles claims to a high standard – particularly the more complex or unusual claims. She has extensive experience of assessing how best policy wordings can work to the advantage of an insured in order to achieve for our client’s best results. This requires not only experience, but also a good understanding of policy wordings. Her ingenuity in the claims arena also provides Sandra with an ability to foresee potential exposures for clients and then tailor a client’s policy to help meet those exposures. In her spare time, Sandra enjoys reading, learning golf, nature walks and wildlife. Joe is a chartered accountant with over 25 years’ experience in the Lloyd’s and London Insurance Market, having initially qualified with E&Y. He was one of the founding Directors of Oxygen Holdings PLC in 2004, a company that established both a broking and an MGA brand, with the MGA being sold to AJ Gallagher and the broker being sold off by 2012. Joe has had hands-on experience of business start-up and growth, capital-raising, team-evaluation, company acquisitions/disposals, business defence and FSA/FCA regulation, with roles including CFO, Corporate Finance Director, Company Secretarial and Business Development, both domestically and overseas. He has also had significant involvement in both the running (as CFO) and the sale of a large back-office business. He has recently been involved in a couple of property developments, a new interest for him. Joe has worked with Fidentia for almost two years and enjoys getting involved in the financial aspects of the business as well as looking at ways to enhance our offering to clients. Joe plays golf and enjoys the Wilds of his native Kerry, with his family, in his time off. Michael heads up Fidentia’s Private Client Division. 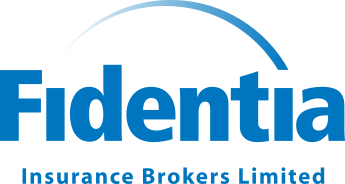 Since 1989, he has built a highly successful career in Insurance Broking. As a Private Client specialist, Michael has a wide-ranging knowledge of, not only Home insurance, but also more complicated and complimentary classes such as Personal Accident and Kidnap and Ransom. He is highly experienced in advising and supporting Fidentia’s longstanding VIP clients. Michael is proud to be part of Fidentia with its fantastic team spirit and can-do attitude. He enjoys leading a Division who strive to provide a prompt, personal and professional service to clients. In his spare time Michael has a passion for fine art, current affairs, motoring and a wide variety of sports. Scott is a senior member of Fidentia Insurance’s in-house Claims Division. He has over 30 years’ insurance broking experience including 25 years specialising in effective claims resolution. Scott provides advice, guidance and support to clients throughout the whole claim’s process. He greatly enjoys being part of Fidentia, whose friendly team work closely together to deliver a highly professional service and effective solutions to clients. In his spare time, Scott enjoys keeping fit. Tom has a key interest in the Insurance market as his Grandfather Terry Harvey has been a major influence, having over 50 years of experience in the industry. Tom began his insurance career in the Commercial Division of Carroll Harvey Insurance in June 2012. He remains with the team and continues to work in the Commercial Division, not only looking after commercial clientele’s requirements, but also heading up the Clubs Division. He enjoys the interaction with the clientele, having a good understanding of their requirements. His ability to communicate and form good working relations, has naturally led him into the world of broking risks, in Lloyd’s of London. Charlie joined Fidentia in 2016 and is a member of our in-house Claims Division. He focuses on ensuring our clients are quickly and proficiently guided through the claim process, and works hard to achieve the best possible outcome from the client’s point of view. Charlie greatly enjoys keeping clients up to date and resolving their claim queries. He likes being part of the Fidentia team, particularly because it works as a cohesive unit and blends friendliness and professionalism with extensive knowledge and experience. In his spare time, Charlie has a passion for science and technology, travelling and sports. Andy has over 40 years’ experience in the Insurance Industry and heads-up our North American Department (Allen & Pemble). The team places business emanating from all over the USA and specialises in Binding Authorities for Property and Truck Physical Damage. They also have extensive expertise in mobile home and low value dwelling home insurance. In his work, Andy greatly enjoys the close contact with clients to identify their needs, and then find solutions. He also values being part of the Fidentia team who he finds to be a happy firm with bags of professionalism and a strong ethos of putting clients first. Neil has over 28 years’ experience in the Lloyd’s Market and works in our North American Department (Allen & Pemble). He has a particular interest in Aviation Reinsurance and specialises in Non-Marine Binding Authorities covering placement, premium and claim settlements. Neil greatly values being part of the Fidentia team, and finds the firm to be a well-run Lloyd’s Broking House. In his spare time he enjoys golf, football and snooker, as well as spending time with his family. 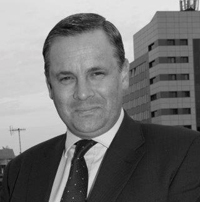 Malcolm has over 50 years’ broking experience in the Lloyd’s and London Insurance market. He specialises in arranging binding authority contracts for brokers and greatly enjoys ensuring the process runs smoothly for all concerned. Malcolm likes being part of the Fidentia team, as everyone is respected and helpful. Outside of work he enjoys spending time with the family and watching most sports. David joined Fidentia’s in-house Claims Division in 2017. He has over 35 years’ insurance experience, specialising in the servicing of all types of claims. He ensures our clients are efficiently guided through the claim process, and always works hard to achieve good outcomes for the client. In his spare time, David enjoys a wide variety of sports.